A Jasper woman was placed under arrest after her involvement in a domestic incident Monday morning she was accused of battering another woman. Around a quarter till 3 am Monday officers with the Jasper Police Department were called to a home located along the 1600 block of Reservoir Drive in Jasper in regards to a possible domestic dispute. When they arrived at the scene police were able to gather both parties involved in the alleged incident. One of which told police during an argument, she was battered by 26-year old Lacy Proctor of Jasper resulting in injury. 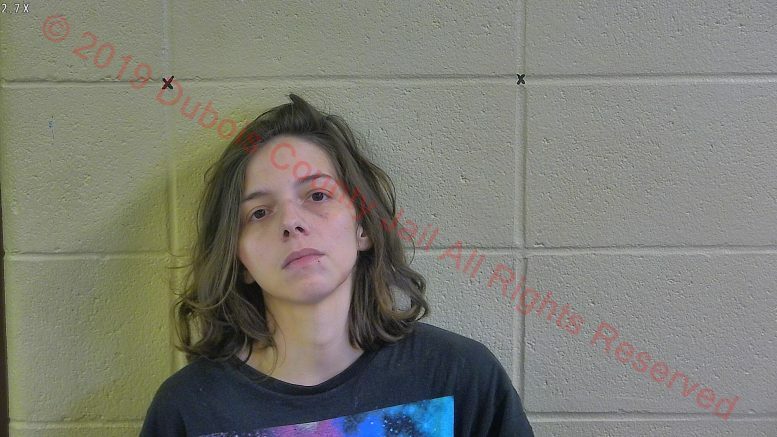 Proctor admitted to police she was physical with the victim at which point she was then taken into custody and booked into the Dubois County Security Center on counts Domestic Battery and Interfering with the reporting of a crime. Be the first to comment on "Jasper Woman Arrested For Domestic Battery"